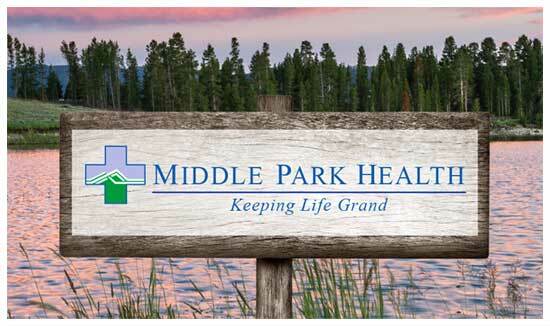 Description: The Clinic Front Office Assistant is responsible for providing a “welcoming” entrance into MPMC Clinic-Granby. This includes greeting patients, answering phones, and scheduling patients. This position is responsible for verifying patient insurance, collecting co-payments, and scheduling medical office visits. • Basic Life Support – BLS (desired within 60 days of hire). • 1-2 years medical front office experience (preferred). • Knowledge of medical terminology (preferred). • Bilingual in Spanish (preferred). Description: The Clinic Medical Assistant works under broad supervision to assist medical providers with patient care, including vitals, medications, completes patient history information during medical visit. Incumbent assists in general office processes, and acts as back up to receptionist as needed. Clinic Medical Assistant provides phlebotomy services; completes diagnostic requisition forms and assists in scheduling diagnostic tests. • Medical Assistant or CNA experience preferred. • Two years’ experience in clinical setting and/or training, or equivalent combination of education and experience preferred. • Medical Assistant certification (CMA or RMA) is required. • Phlebotomy certification is preferred. • Pass and maintain Basic Life Support (BLS) certification within 60 days of hire. • Office/clinic experience to be able to answer phones positively, enter data into computer, and utilize basic office equipment. • Ability to accurately take vital signs. • Ability to multitask and maintain organization in high stress situations. • Strong computer skills to utilize a variety of software applications efficiently. • Performs daily cleaning, including vacuuming, cleaning and sanitizing of patient care rooms and external areas of clinic, dusting, floor mopping, window cleaning and removal of all trash and recycling to facility dumpster. Description: The Clinic Registered Nurse is responsible for direct and indirect patient care. Position is responsible for determining priorities of care based on physical and psychosocial needs. The Registered Nurse will assess, plan, implement, and evaluate nursing care of clinic patient. The Registered Nurse responds quickly and accurately to changes in patients’ conditions or response to treatment. • Current Colorado State Nursing License. • Bachelor of Science in Nursing (preferred). • 1-2 years Medical/Surgical Nursing experience. • 1 year of Family Practice Clinic setting experience (preferred). • Advanced Cardiac Life Support (preferred). • Knowledge of Electronic Medical Record (preferred). Description: The Certified Nursing Assistant (CNA) providing care to the inpatient population within the CNA’s Scope of Practice, is responsible for the provision of basic nursing care to patients by maintenance of a safe and clean patient care environment. The CNA participates as an integral member of the health care team to establish and maintain healthy relationships with patients, patient family members, health care team members, including observations and communication of information which contributes to optimal patient care and the achievement of desired and defined patient outcomes. Licensed as a Certified Nurse Assistant in the State of Colorado preferred (Certification must be obtained within 6 months of hire date). Graduate from a State Certified Program for Nursing Assistants preferred. Basic Life Support – BLS (or within 60 days of hire date). 6 months prior experience as a CNA preferred. Description: The Diagnostic Imaging Technologist performs a variety of imaging procedures, including general Xray procedures in an Urgent Care setting, and is responsible for patient safety protocols. Functions as the first line interface with customers in the successful accomplishment of their imaging needs. Participates in maintaining positive department patient flow. Available for on-call duties. • Graduation from an AMA-approved school of Radiologic Technology. • Registered with the American Registry of Radiologic Technologists (ARRT). • Maintain current BLS certification (within 60 days from hire). • One year of radiologic/imaging experience preferred. • Maintains current RT Certification. • Possesses a high level of knowledge of cross-sectional anatomy. • Flexible. Able to adjust schedule as patient flow and activity occur. • Knowledge of computer applications and general clerical functions such as phones, scheduling, billing. • Available for on-call responsibility. Description: The Diagnostic Imaging/CT Technologist performs a variety of imaging procedures, including general Xray procedures and CT procedures, and is responsible for patient safety protocols. Functions as the first line interface with customers in the successful accomplishment of their imaging needs. Participates in maintaining positive department patient flow. Available for on-call duties. Registered with the American Registry of Radiologic Technologists (ARRT). Maintain current BLS certification (within 60 days from hire). One year of radiologic/imaging experience preferred. Possesses a high level of knowledge of cross-sectional anatomy. Able to adjust schedule as patient flow and activity occur. Knowledge of computer applications and general clerical functions such as phones, scheduling, billing. Description: Under the direct supervision of the Dietary Manager, the Dietary Assistant will prepare appetizing food for the hospital patients as determined by the day’s menu. The Dietary Assistant assumes a role in the regulation of food production and designated matters as stated in this job description and in the absence of the Dietary Manager. Keeps records and transfers dietary theory into daily practice. Maintain current BLS certification (within 60 days of hire). Knowledge of food preparation and use of basic kitchen equipment and tools. Ability to follow recipes, and make adjustments as needed for specific patient diet. Previous experience in hospital food preparation preferred. Flexible to adjust to various patient requirements and patient loads. Description: The Registered Nurse providing care to the Emergency Department population is responsible for assessing, planning, implementing and coordinating patient care from triage/admission to discharge/transfer utilizing accepted standards and protocols of emergency medicine including Advanced Cardiac Life Support (ACLS), Pediatric Advanced Life Support (PALS) (or equivalent), Trauma Nursing Core Course (TNCC). The Registered Nurse is responsible for the achievement of most optimal patient outcomes through the implementation of clinical guidelines. Licensed as a professional Registered Nurse in the State of Colorado. 6 months Emergency Nursing experience or equivalent (desired). Advanced Cardiac Life Support (ACLS) preferred – required within 60 days. Trauma Nurse Core Course (TNCC) preferred – required within 180 days. Pediatric Advanced Life Support – PALS / ENPC / or equivalent preferred – required within 60 days. Certified Emergency Nurse (CEN) desired. Ability to use computer for patient documentation – EPIC EMR experience preferred. Description: Under the supervision and scheduling of the Environmental Services Supervisor, the Environmental Services Tech performs a wide variety of tasks to maintain the appearance, cleanliness, and sanitation of all MPH facilities. Also provides laundry services for hospital linens and personal items for patients in a timely basis. Also responsible for the safe transport of Specialty Care Providers and staff between home facility and Granby Surgical Services at MPH. Available for on call duty. Description: The Mammography Technologist performs diagnostic mammography procedures and is responsible for patient safety protocols. Functions as the first line interface with patients in the successful accomplishment of their mammogram and participates in maintaining positive department patient flow. Graduation from an AMA approved school of Radiologic Technology: either college affiliated or hospital trained. Registered by the American Registry of Radiologic Technologists (ARRT) in radiography and registered/board eligible in mammography. Maintain current BLS certification, (within 60 days from hire). Flexible. Able to adjust schedule as patient flow and activity occur. Description: The Medical Technologist is responsible for performing all Clinical Laboratory services. Includes venipuncture and performance of testing, interpretation and correlates clinical laboratory tests by following protocols to assist in physician diagnosis and treatment. Also assists with blood bank operation and in the maintenance of Lab equipment. • Bachelor’s Degree in Laboratory Science. • 2 years’ experience in high complexity testing laboratory preferred. • MT Certification (ASCP or AMT) or equivalent. • 2 years’ experience in phlebotomy, infant to geriatric. • Knowledge of blood banking processes. • Must be able to demonstrate appropriate skills as MT. • Ability to multi-task and work with constant interruptions. • Qualified, experienced Medical Lab Technologist may also be considered for this position. Description: The Patient Navigator serves as a single point of contact for referring physicians, patients, caregivers, and human service organizations to provide resources and assistance with clinical and supportive care services offered within Grand County and its partnering healthcare community. Serves as a liaison between patients, healthcare providers and human services agencies to reduce barriers to care and assure the patient receives the care they need when they need it. (Works with the patient to identify barriers to care and a comprehensive and goal- oriented plan.) Facilitates patient appointments, including those made with healthcare providers, labs, diagnostic areas, specialty physicians, and human service organizations. Licensure: licensed as a professional Registered Nurse in the State of Colorado. Knowledge of the local community resources, state and federal programs. Knowledge of state, federal and private insurance systems. Knowledge of chronic diseases and treatment process and effect of illness on patient population. Requires problem solving, decision making and critical thinking. Ability to strategize, organize and plan. Requires excellent leadership, organizational, written and verbal communication and excellent interpersonal skills. Must be able to work in a self-directed environment, with ability to work with and lead teams. Ability to implement professional and community based education programs. Ability to maintain flexibility and emotional stability while working under intense emotion, time and volume pressure. Computer and internet literate; Microsoft Office competency required. Ability to work independently within established guidelines; coordinate service delivery with partners; maintain confidential information; perform multiple tasks simultaneously; coordinate work schedule to achieve maximum productivity/effectiveness; apply exceptional customer services skills at all times; exercise judgment, tact and diplomacy. Drivers License in good standing. Description: Responsible for providing Physical Therapy Services under the Colorado Physical Therapy State Practice Act. Examines, evaluates, assesses and treats patients in all settings, including acute care, skilled nursing, pediatric and outpatient orthopedic and neurologic. Administers physical therapy interventions in an effort to restore function and prevent impairment and disability following injury, disease or musculo-skeletal dysfunction. Ensures documentation for services is provided timely and accurately. • Graduate of an approved school of Physical Therapy. • Current Colorado State Physical Therapy License. • Previous experience in all aspects of physical therapy preferred. • Current BLS certification or within 60 days from hire. • Ability to maintain required documentation in EMR system, Epic experience preferred. Description: The Revenue Cycle Specialist is a member of the Revenue Cycle team that is responsible for the management of all business/financial related functions of the patient’s visit and management of the Hospital’s accounts receivables. The Specialist will be expected to perform and master various work assignments to accomplish the team’s responsibility and applicable facility financial goals. Working knowledge of insurance processing, CPT, ICD-10, co-pay and coverage verification processes. Strong verbal skills to communicate information clearly with patient, family member, and insurance companies. Description: Social Worker is responsible for the coordination of quality patient care with members of the health care team, the patient, and/or significant others, beginning with pre-admission and continuing through post discharge. Coordinates resource utilization and discharge planning needs, adjustment to illness, end of life decision-making and emotional support. Is a liaison in networking patients and their families with community resources when deemed appropriate. Bachelor’s Degree in social work, human services field such as sociology, special education, rehabilitation counseling, and psychology and one year of supervised social work experience in a health care setting working directly with individuals. Pass and maintain Basic Life Support – BLS certification within 60 days of hire. Ability to use computer for patient documentation and administrative work. Knowledge of Medicare and Medicaid regulations. Experience in discharge planning preferred. Description: The Wellness Center Aide works under the direction and supervision from the Wellness Center Supervisor and Sports Therapy Supervisor, assisting clients and community rec members with access to facilities, classes, and general fitness programming. The Wellness Center Aide will manage the day to day functioning and accessibility of the Wellness Center including providing proper oversight to ensure safe operation of the facility and its equipment. Outstanding people and leadership skills. Physically fit, strong, agile and dexterous, and professional appearance and behavior. Available to work evenings, weekends, and on public holidays.